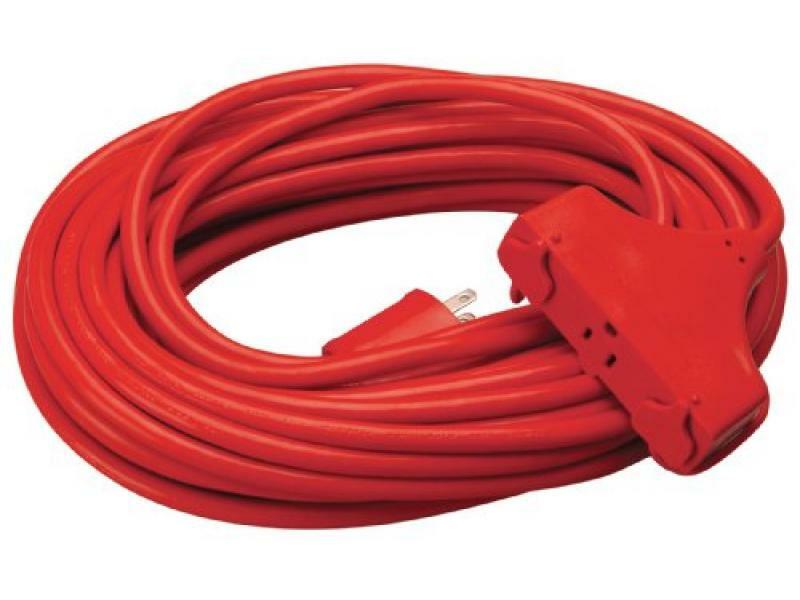 Coleman Cable Red Vinyl Outdoor Extension Cord. 100, 14/3 SJTW-A, orange 3 outlet extension cord, outdoor, 13a, 125V, UL listed. 100, 14/3 SJTW-A, orange 3 outlet extension cord, outdoor, 13a, 125V, UL listed.